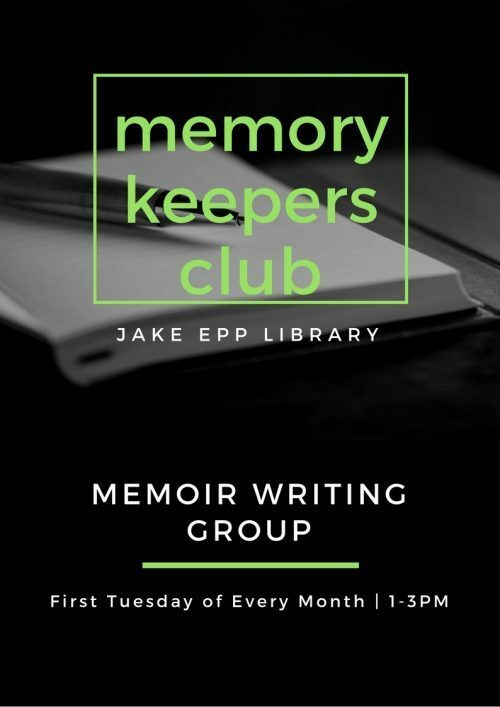 Join Jake Epp Library’s monthly memoir writing club! Every month will have a different theme to write on. We will share writing, stories, and experiences with one another. No sign up is required, you can drop in just for the sessions that work for you. Memory Keepers’ Club will be held on the first Tuesday of every month from 1-3 pm in our multi-purpose room. Check our events calendar for the next meeting’s theme.